The password is the key to your account. So, you need to use a strong password. I have already written an article explaining how to create a strong password. But you can automate this process by using password generators. The password generator tool can generate the strong password with the combination of lower & capital letters, numbers and symbols. In this article, I will talk about 5 useful password generator tools. 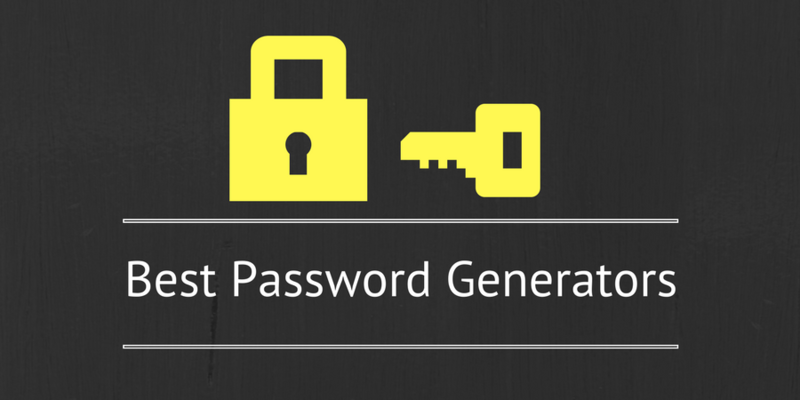 You can try these password generators to create your passwords and use on your accounts. Norton, the maker of popular Antivirus software, has an online tool to create a strong password. This password generator allows you to set length and select what you want to include in the password. You can also select the number of passwords to generate. You can generate up to 50 passwords in a single click. Strong Password Generator is another online tool that lets you create strong passwords. You can choose any length, combination of upper and lowercase letters, symbols, and numbers. In this tool, you can generate one password at a time. Random Password Generator is another simple and nice tool to generate strong passwords. In this, you can generate 100 passwords at a time and password length will be from 6-24 depending on your input. The password generated by this tool never contain characters or digits that are easily mistaken for each other. Lastpass, the popular password management tool also offers you a tool to generate strong passwords to use. You can either use the random password generator or use the advanced option to choose how the password should be. Perfect Passwords is another nice tool that allows you to generate the hard to guess the password. This tool generates three strings at once: 64 random hexadecimal characters (0-9 and A-F), 63 random printable ASCII characters and 63 random alpha-numeric characters (a-z, A-Z, 0-9). You can either use the whole string or you can use any part of the string. Pwgen is for Linux users. If you use Linux, try this tool. To install, this, use the command given below. Password generation is also easy. Just run pwgen and see how it generates the list of passwords for you. You can also use the below format to know how to use password length and number of passwords to try. SafePassd is another similar service that lets you generate passwords easily. You can select the options and password length to generate passwords. PCTools also provides a secure password generator tool. It offers different options for password generation. These options include length, punctuation, numbers, letters etc. There is also a pro version of this tool. This is another nice tool to generate multiple passwords of given complexity and format. You get several options to select for the password. It also shows a graph to show the frequency of characters used. Generating a strong password is simple. You only need to take care of few things. Use characters, numbers and special characters. If you generate the password by your own, you can easily remember that. Use of this tool will surely give you a strong password, but you will need to use a password manager to keep it safe. How do you generate a strong password? Let us know using the comment section below.